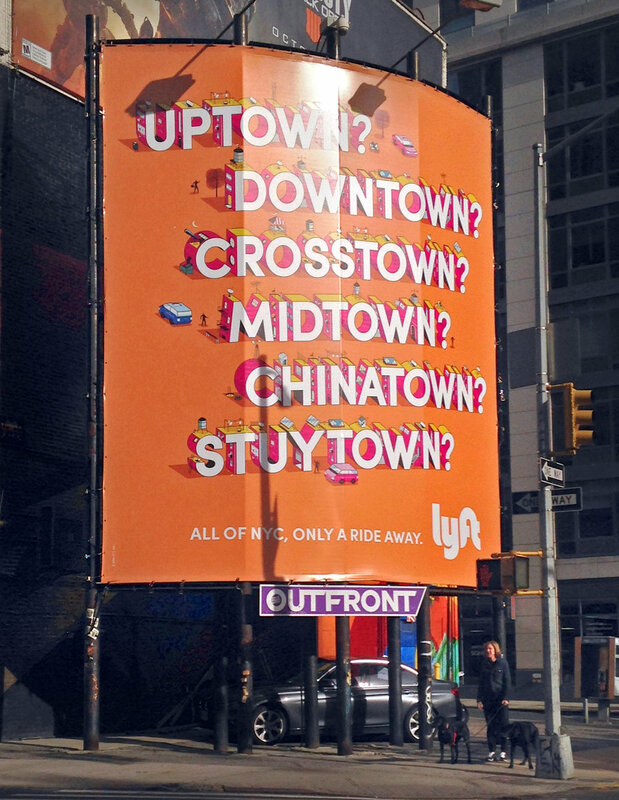 As a production designer at the advertising agency Wieden+Kennedy I produced large-scale out of home ads for Lyft. I was responsible for building mechanicals using headlines composed of a unique illustrated alphabet. The ads appeared nationally — on billboards, buildings, subways, digital kiosks and walls. As a production designer on assignment for the ad agency Global Hue I created ads and guide books for Verizon Wireless, targeting the Spanish-language market. The ads appeared in print publications and OOH locations nationally, from newspapers to buses and billboards. Taking direction from the art director, I created complex layered mechanicals in Adobe InDesign and Photoshop, and retouched the images. I was also responsible for preparing and checking the files for different venues and vendors.